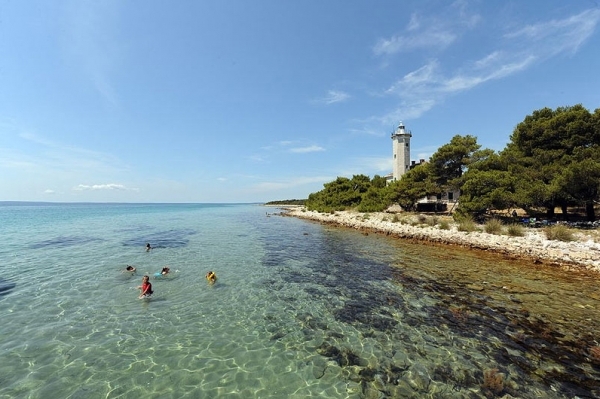 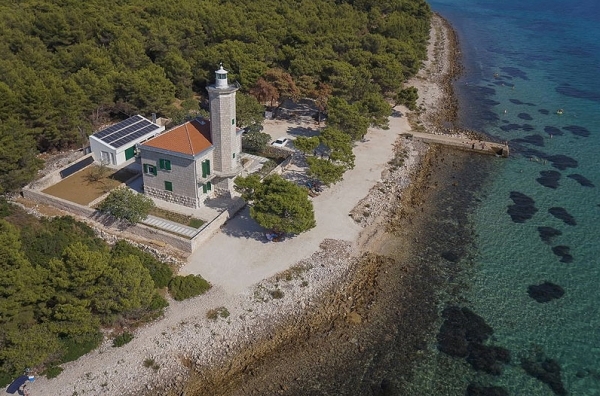 A unique island escape enjoying a 5 star villa inside your own lighthouse overlooking the Adriatic! 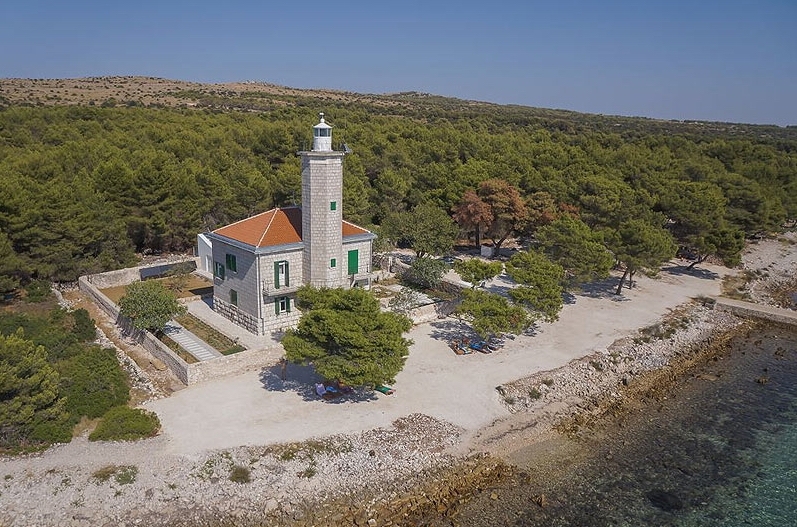 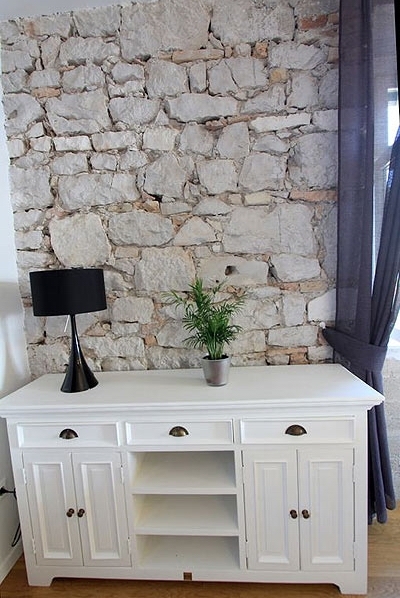 Built entirely of native stone and brick, the interior and exterior were completely renovated in 2012 using an eclectic mixture of traditional Mediterranean and contemporary design. 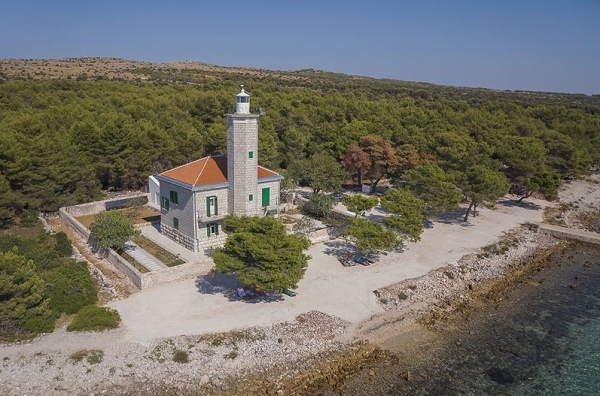 Your private lighthouse retreat sleeps up to 8 and all the main rooms and bedrooms are fully air-conditioned. The villa is divided into two, large separate floors, each 90 m² . 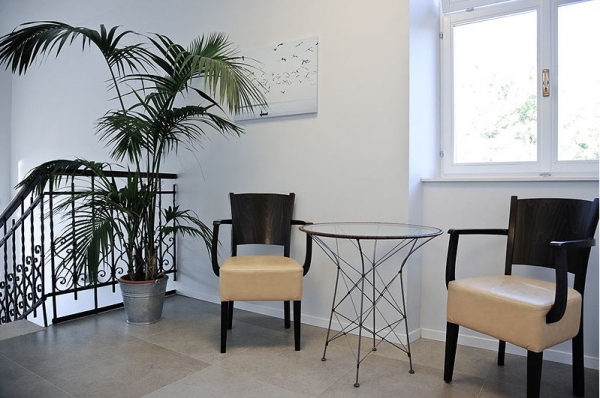 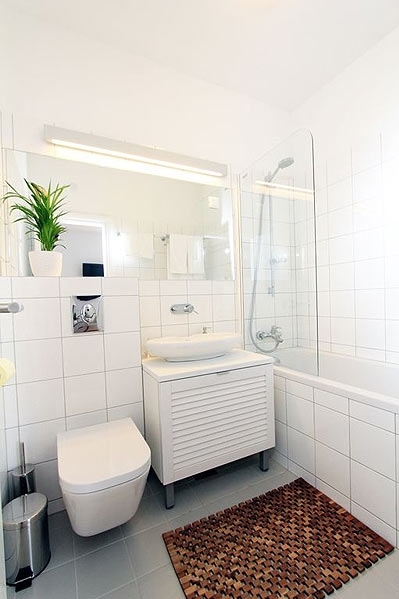 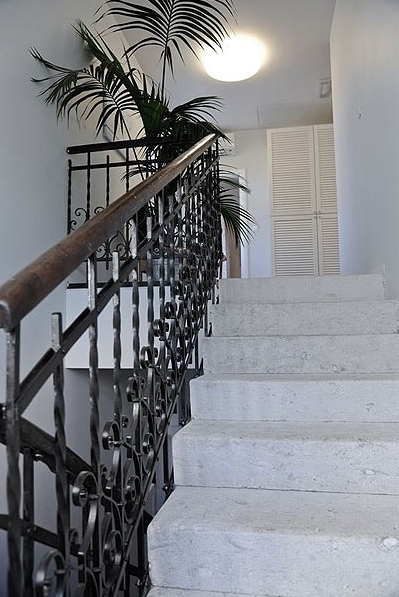 On the first floor there are four sleeping rooms ( two of which are a glorious 21 m², one 17 m² and another 14 m² . 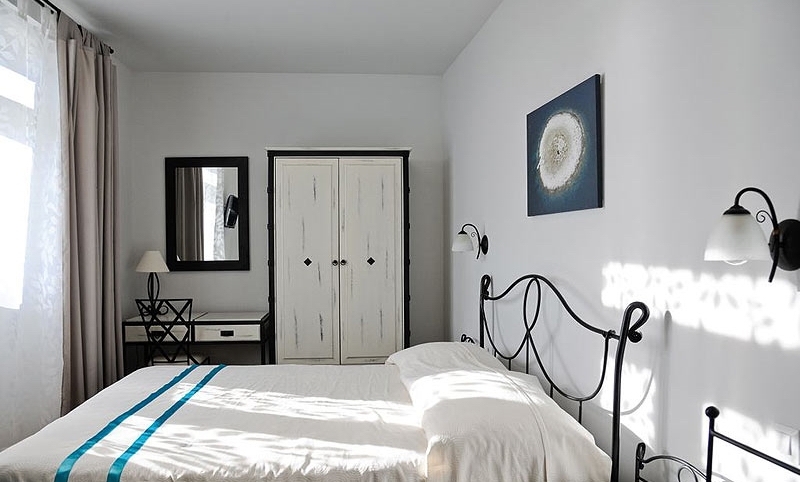 Each is equipped with SAT LCD TV, queen size bed and en suite bathroom.. Additionally , the two larger rooms have access to the large round balcony that winds around the lighthouse tower to provide spectacular panoramic sea views. 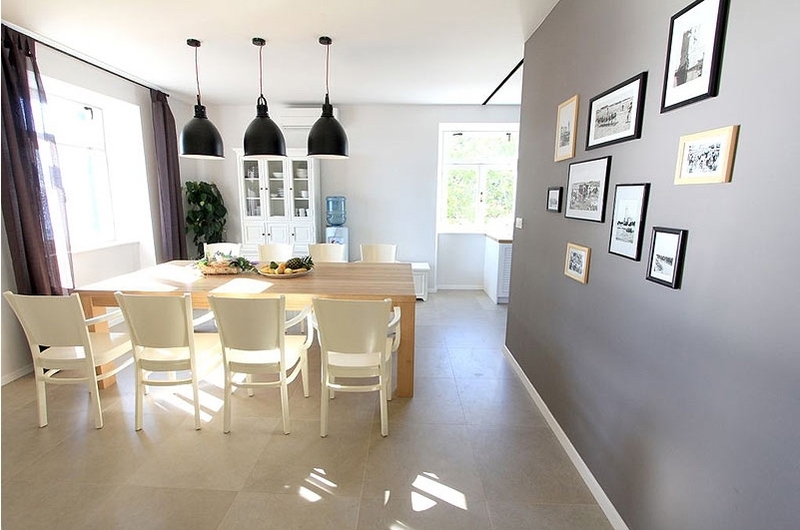 The common areas of the house are situated on the ground floor. 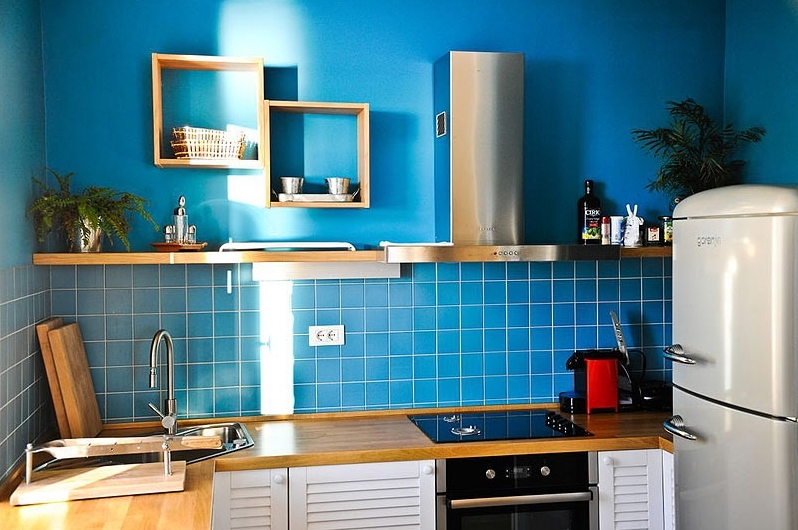 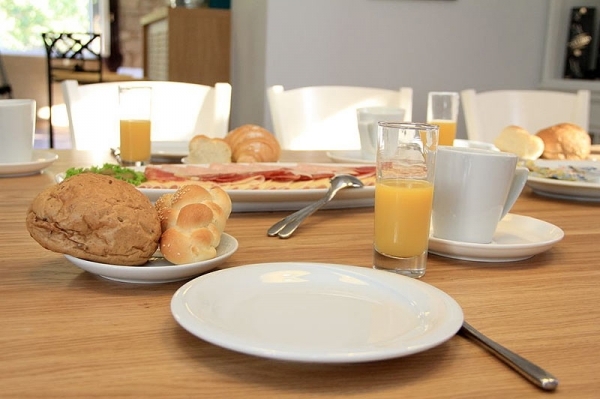 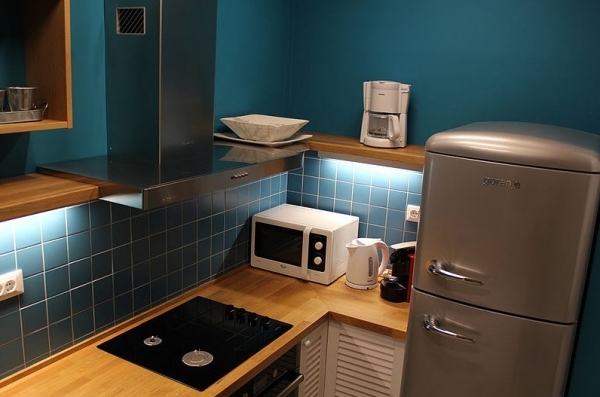 You\'ll really enjoy the well equipped kitchen--complete with filter-coffee and espresso-coffee machines; microwave; large refrigerator/freezer and multifunctional stove/oven with electrical and gas cookers. 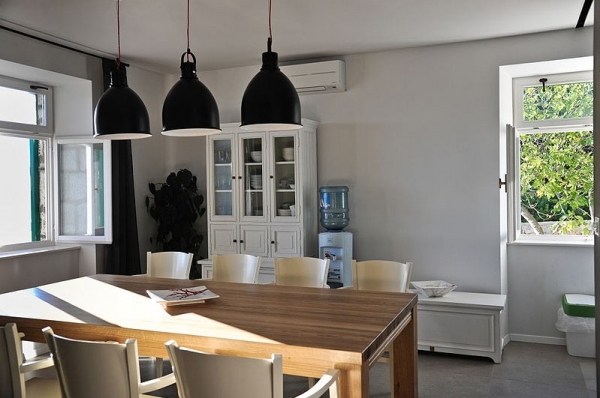 Just off the kitchen is a stylishly furnished dining-room equipped with mini-bar and small wine-tender, plus a guest bathroom which also has and washing-machine. 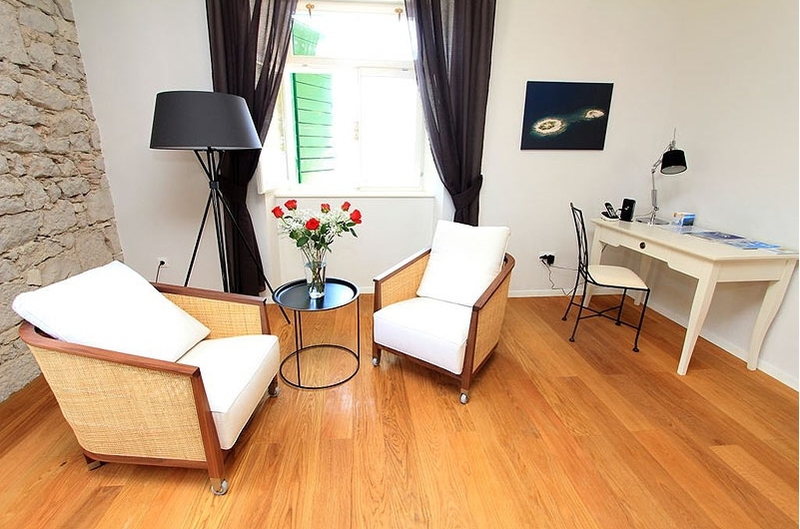 The spacious living room has a 130 cm² SAT LCD TV 130 cm² and wi-fi internet access, comfortable leather seating and handsome Mediterranean solid wood furniture. 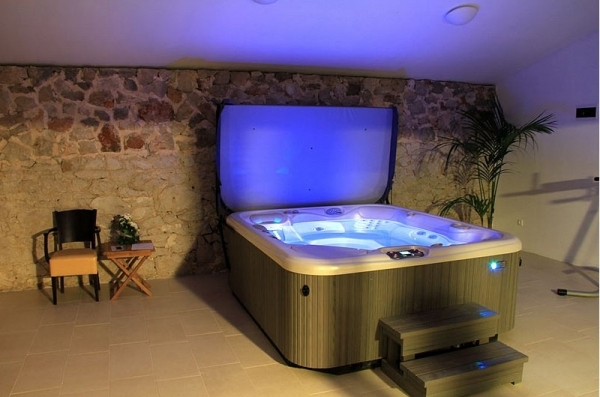 Outside, enjoy your own private spa! Artfully fitted into an inner courtyard surrounded by a native stone wall, it includes a sauna, whirlpool and even a multifunctional fitness machine. 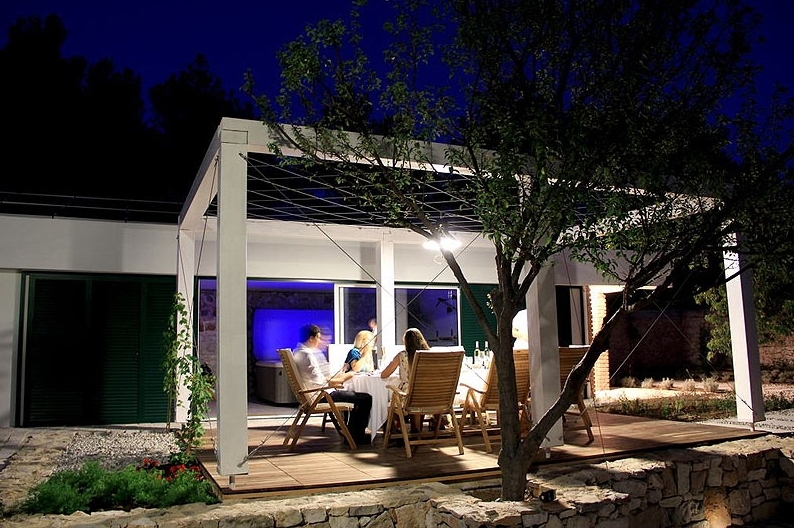 All of this, plus a private outdoor sun-deck in a separate Mediterranean garden area complete with an outdoor roofed grill. The Villa Lighthouse is located approx. 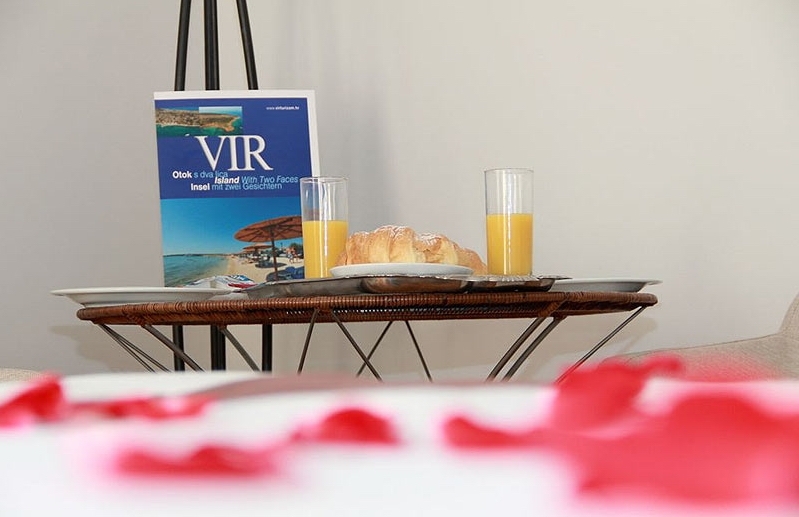 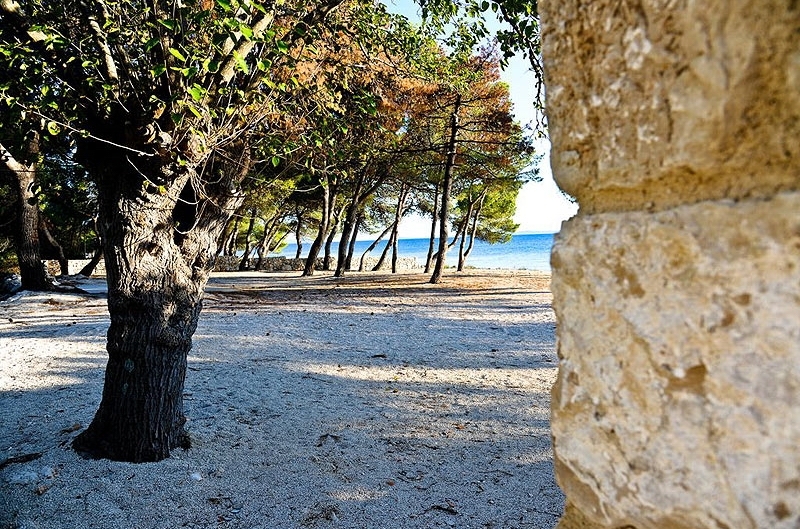 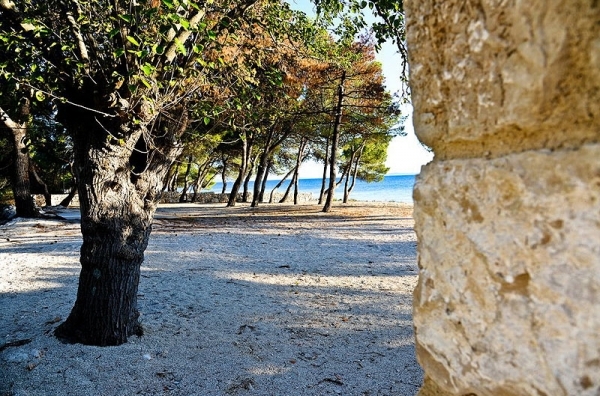 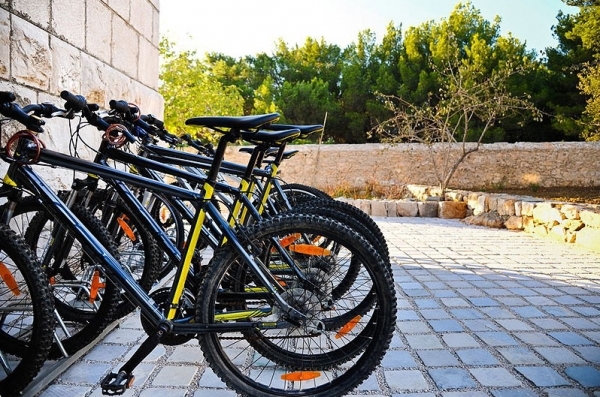 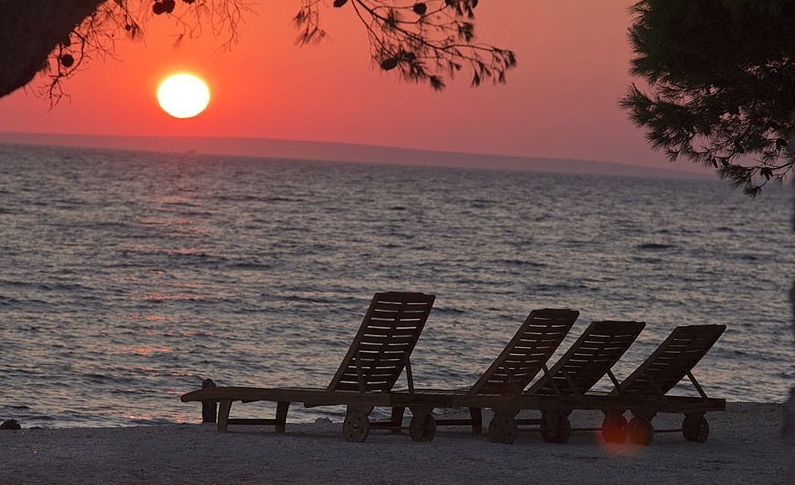 8 km away from the center of the town Vir, which is about 30 min drive from Zadar and its international airport. Connected to the mainland with its own bridge, discovering the surrounding area and town by foot, bike or car is easy. 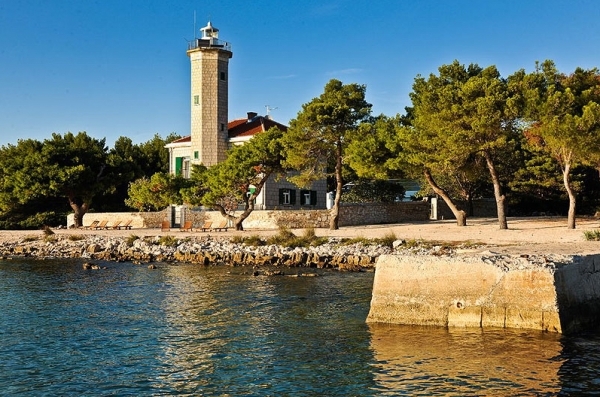 Close at hand are some very interesting natural and historical landmarks, including the historical jewel Nin; Zadar and its rich historical Roman and medieval ensemble and three of Croatia's most stunning national parks--Paklenica, Krka and Plitvice lakes.